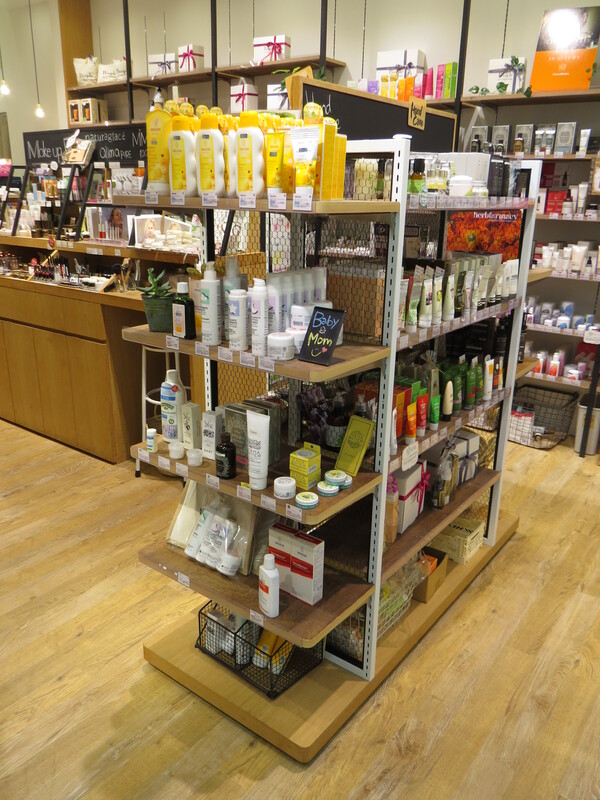 Cosmekitchen sells a very wide range of organic and natural brands from all over the world. Labels include Weleda, Primavera, Lavera, Tautropfen, Dr. Hauschka and Martina Gebhardt from Germany, Biofficina Toscana and Biorista Organics from Italy, John Masters Organics, Burt’s Bees, Nature’s Gate, Desert Essence, Badger Balm, Hurraw, Pangea Organics and Dr. Bronner’s from the US, Do Organic, F Organics, Amritara, La Casta, Shigeta, Welina Organics and Chant a Charm from Japan, Jurlique, Australian Native Botanicals, Koala Baby, Australian Organics and Trilogy from Australia and Urtekram and Frantsila from Denmark and Finland respectively. In the colour cosmetics category, Cosmekitchen’s brands include Mama Butter, Amritara, Naturaglacé and MIMC from Japan, Alima Pure from the US and Zuii Organics from Australia. For a full list, check the Cosmekitchen online store. The shopping experience in Cosmekitchen stores is very premium; the store layout is stylish with clean lines and lots of wooden elements. The Cosmekitchen outlets in Shibuya and Koshigaya (Saitama prefecture) also feature a small salon area where you can book a range of beauty treatments. 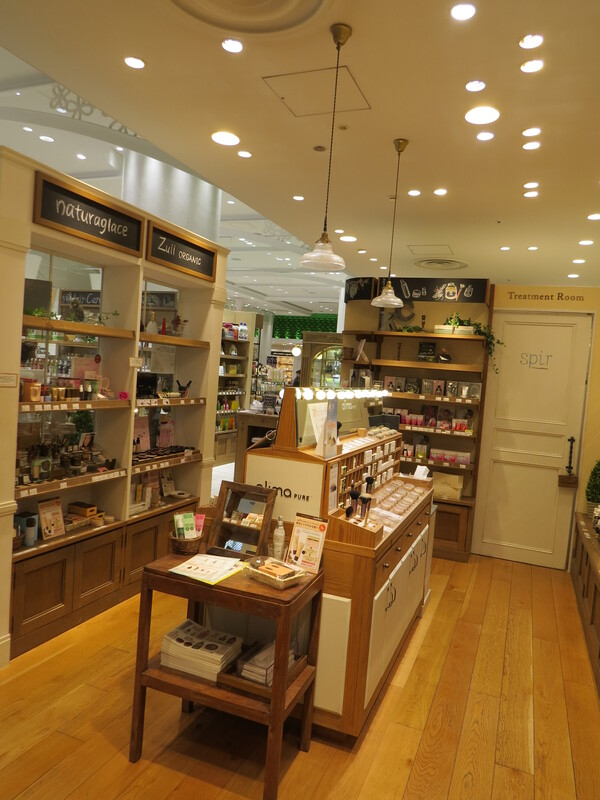 The rapid expansion pace of the Cosmekitchen chain reflects how strongly the organic beauty market in Japan is growing. 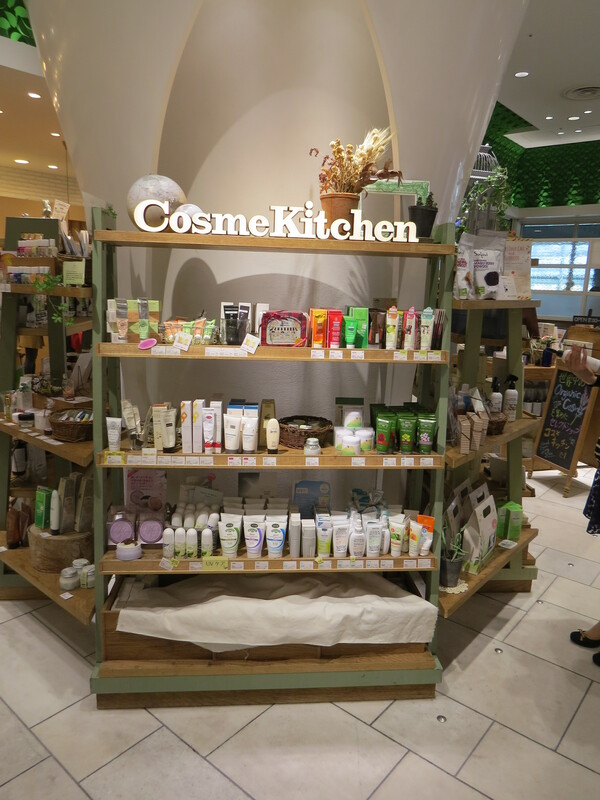 The brands that are sold in Cosmekitchen are quite expensive – most of the products (European/US/Japanese brands: it didn’t make much of a difference) seem to be priced at around 3,000-4,000 Yen (equivalent to 20-30 Euro), except smaller items like soaps or lip balms. 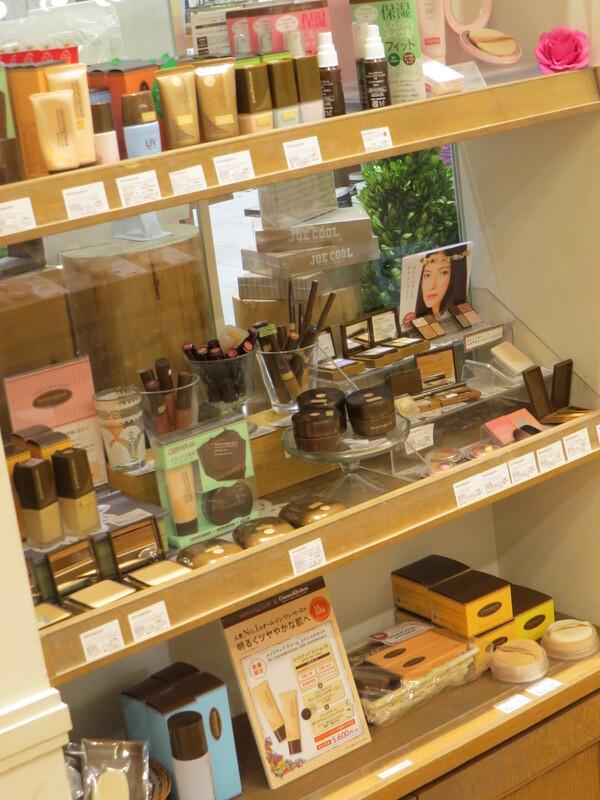 Organic beauty in Japan is definitely a luxury category. However, the Cosmekitchen chain seems to be doing very well judging by the many stores they have opened in just ten years. And Cosmekitchen is not Mash Beauty Lab’s only organic enterprise. 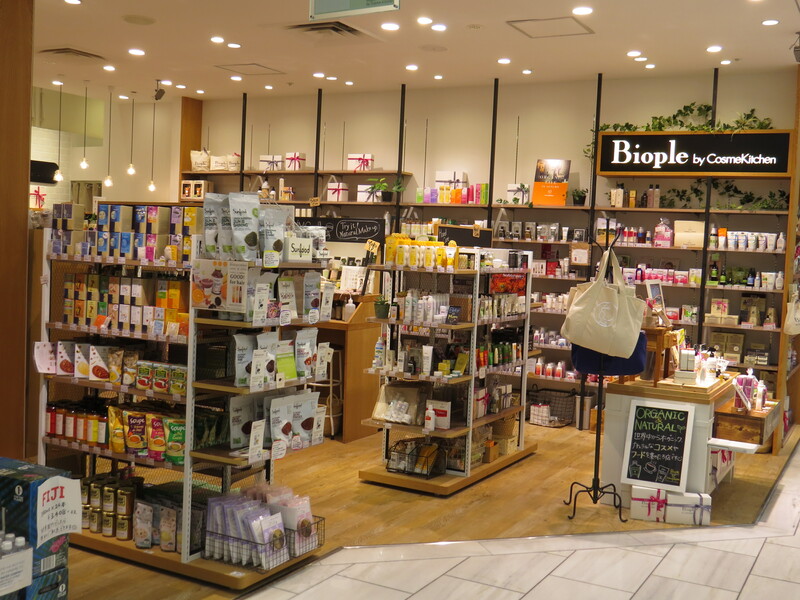 In 2013, a second store chain followed: Biople by Cosmekitchen also sells organic beauty (many of the Cosmekitchen brands are available in Bioples) but its focus lies more on organic products in general and an organic lifestyle – and in fact, the store name is a combination of the romaji words “bio” and “people”. In addition to cosmetics, Biople stores also carry a good selection of organic teas, confectionery, beverages, home fragrance and groceries. 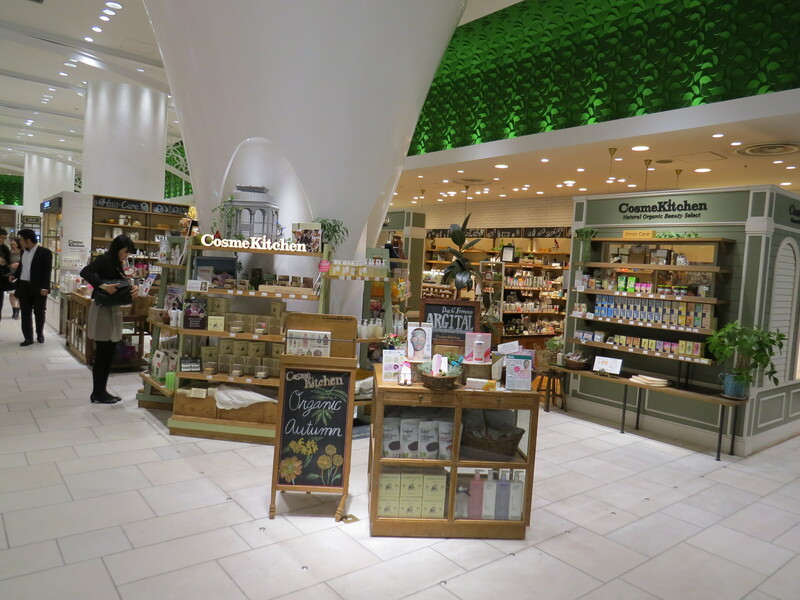 There are currently seven Bioples across Japan; like Cosmekitchen, the stores are based in department stores and shopping centres. 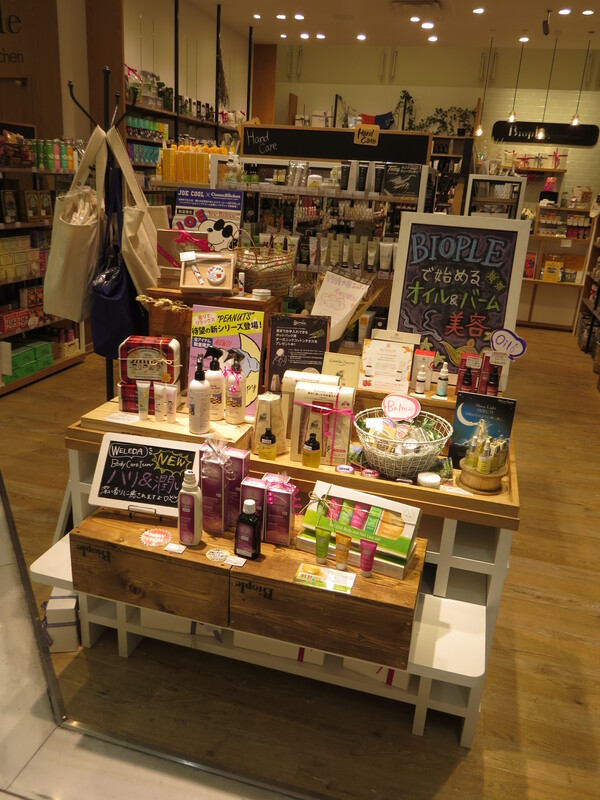 I visited the Biople in Ogikubo’s Lumine department store. It’s small but very attractive. Oh, and one more thing: I really like the way that the company is handling the official Biople blog: rather than have one person or a group of people writing the blog entries, the different Biople stores take turns writing. The entries usually start with something like: “Hello, this is Biople Hakata Ameyusuto store…”, then they go on with little stories (“The other day I went to an organic café…”), give information about new product launches or announce store events. The personalization comes across as charming and very authentic.